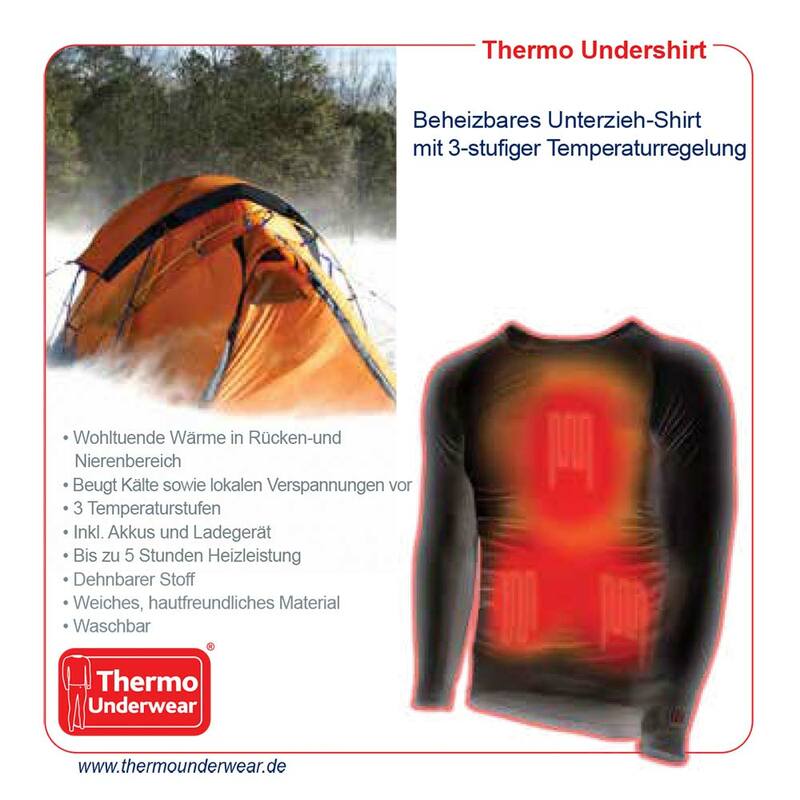 Unpack the THERMO GLOVES, along with the two Li-Ion Polymer batteries and adapter. 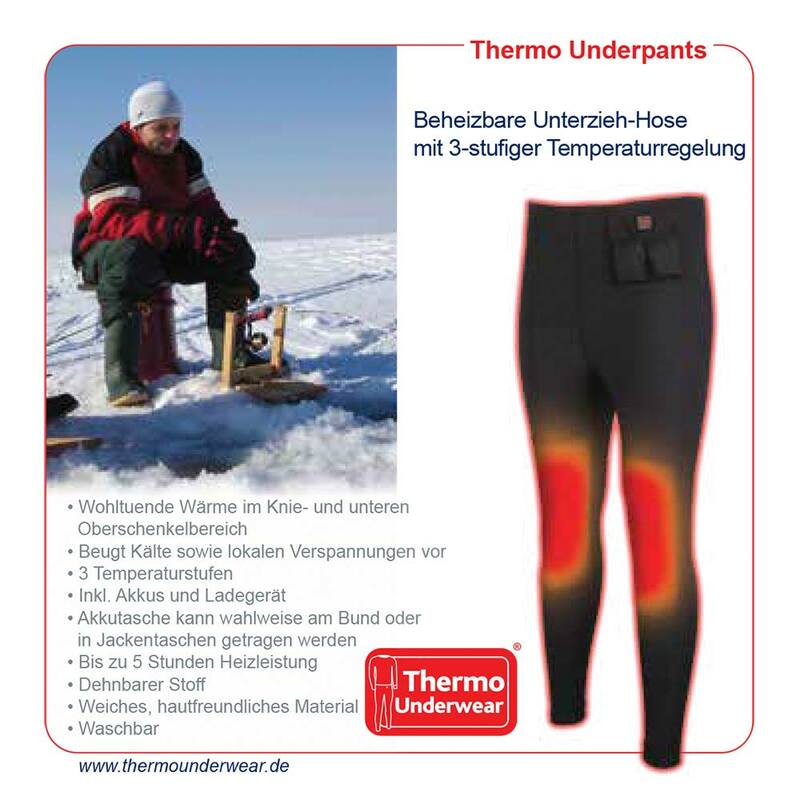 The batteries of the THERMO GLOVES are not charged and must be fully charged for about 9 hours. Connect the Y-Cable to the main adapter cable and then the two adapter cables to the sockets of the batteries. Then plug in the adapter to the outlet to charge the batteries. Both batteries must always be charged at the same time! The two LED-lights on the adapter cable turn to red during loading and then to green after loading is completed! If for any reason the charger detects irregularities during charging, the safe charge function will be activated, resulting in an increase of the charging time. 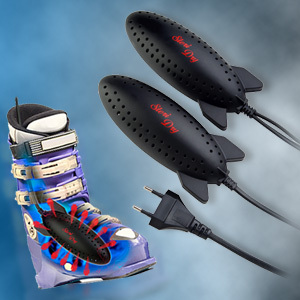 After the gloves are fully charged, unplug the adapter and disconnect the cables from the batteries. Store the batteries in the pouch inside the cuff of the gloves and close the zipper. 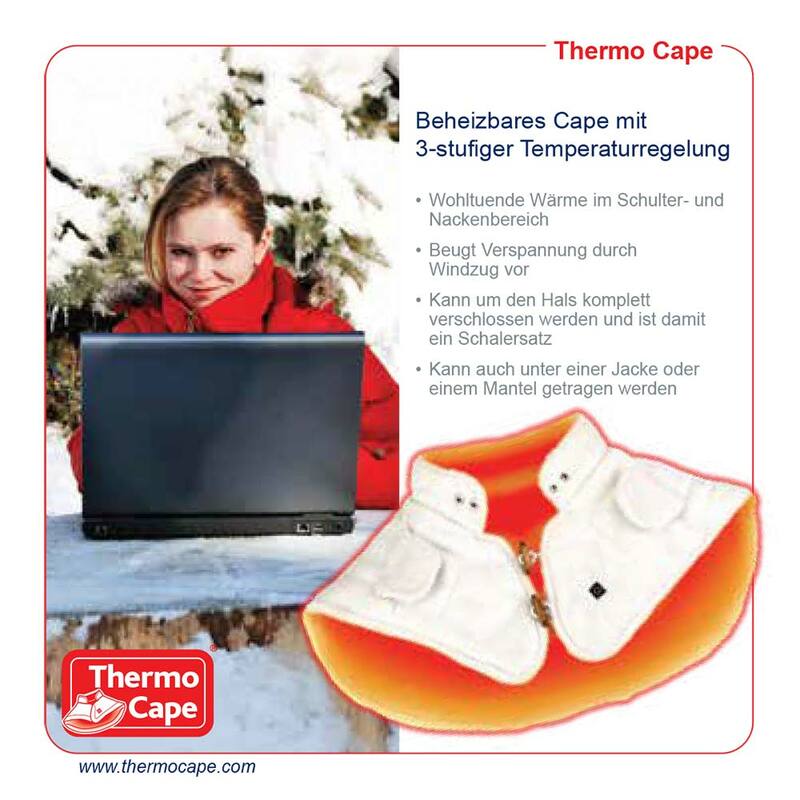 When using your THERMO GLOVES open both zippers of the pouch and connect the cables, which are inside the pouch, to the sockets of the battery firmly. Store the battery inside of the pouch and close the zipper. When using the gloves, open the Velcro strap, which is designed for a final adjustment and better fit of the gloves. Put on the gloves and close the Velcro strap. 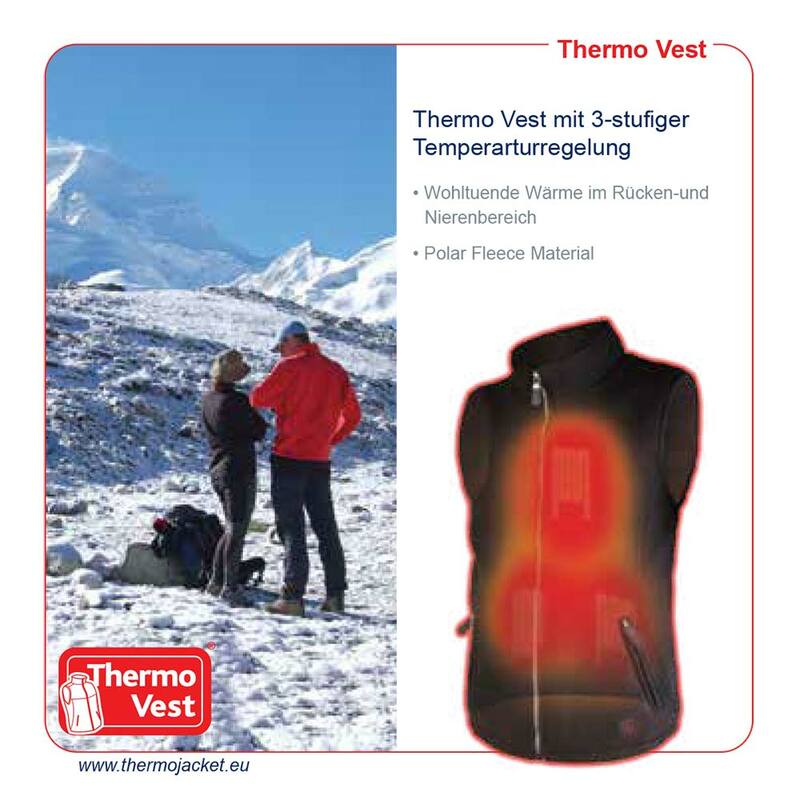 The heating mode is activated by pressing the black ON/OFF keypad control button located on the top of the gloves for about 3 seconds. The LED-light on the keypad control will then light up, indicating that the gloves are in the heating mode. 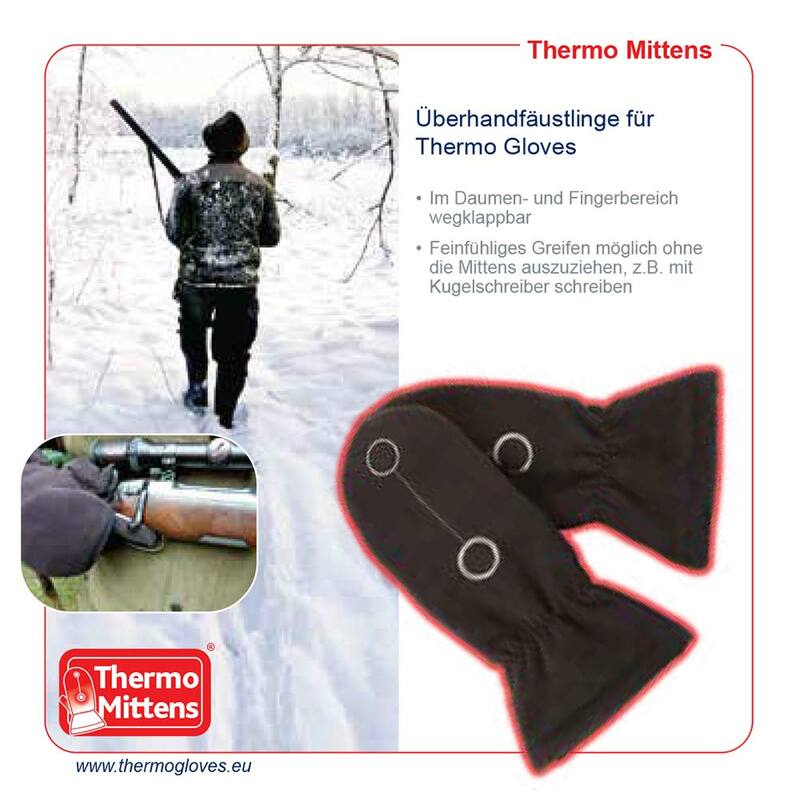 Please note that the actual heating time always depends on the outside temperature and if the gloves are worn separately, or in conjunction with outer gloves or mittens! 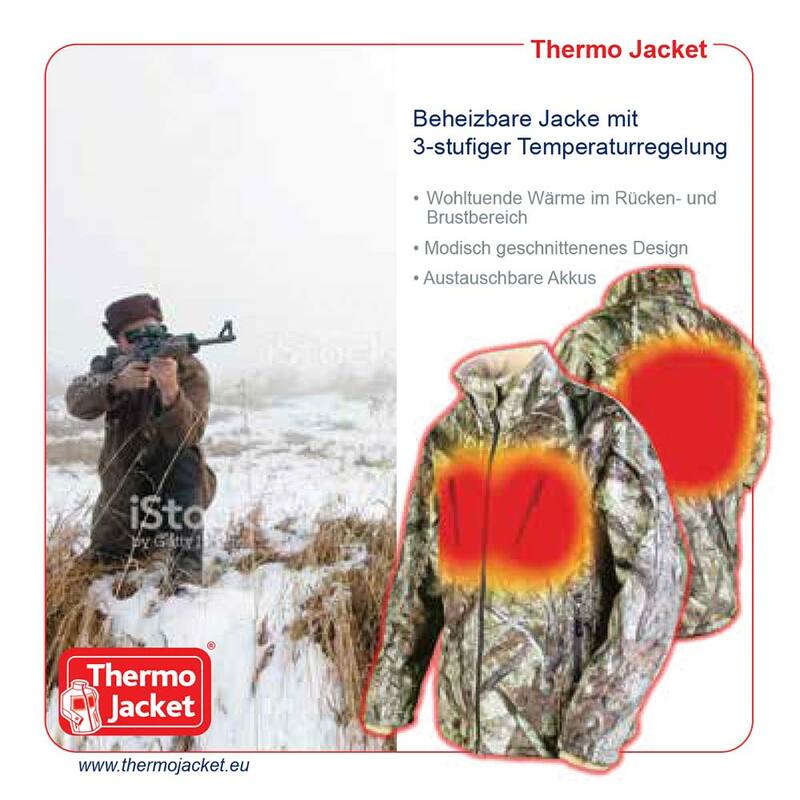 The temperatures were measured directly at the carbon fiber material. 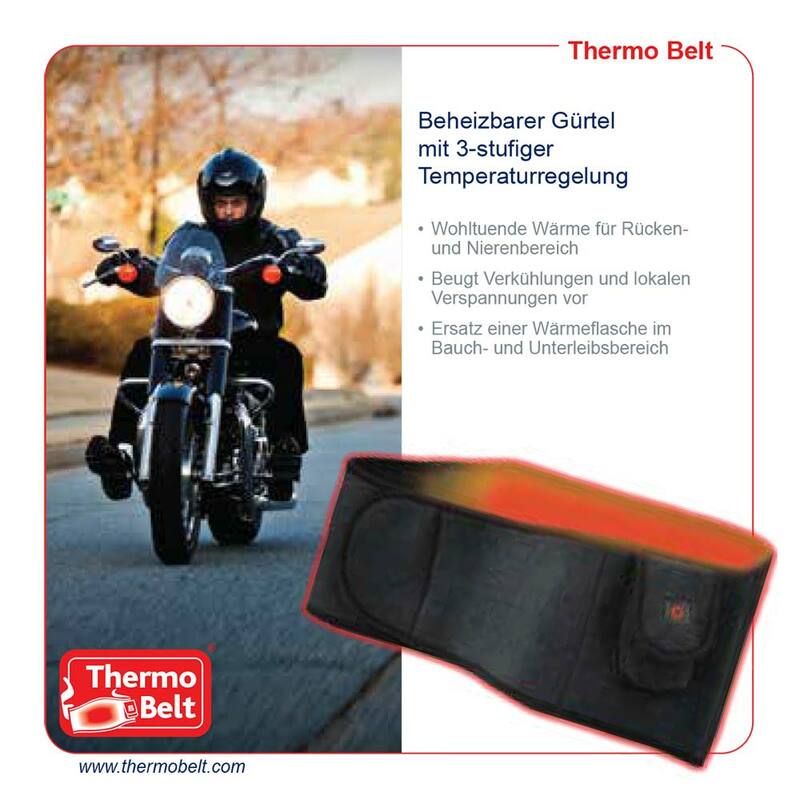 Additional battery-packs can be purchased separately if extended heating times are needed! Turn OFF the gloves by pressing the ON/OFF keypad control button several seconds until the LED light turns off. Always unplug the batteries when the gloves are not in use and store them inside the pouch of the glove. The high-quality 2.700mAh LI-ION Polymer Batteries (no memory effect!) 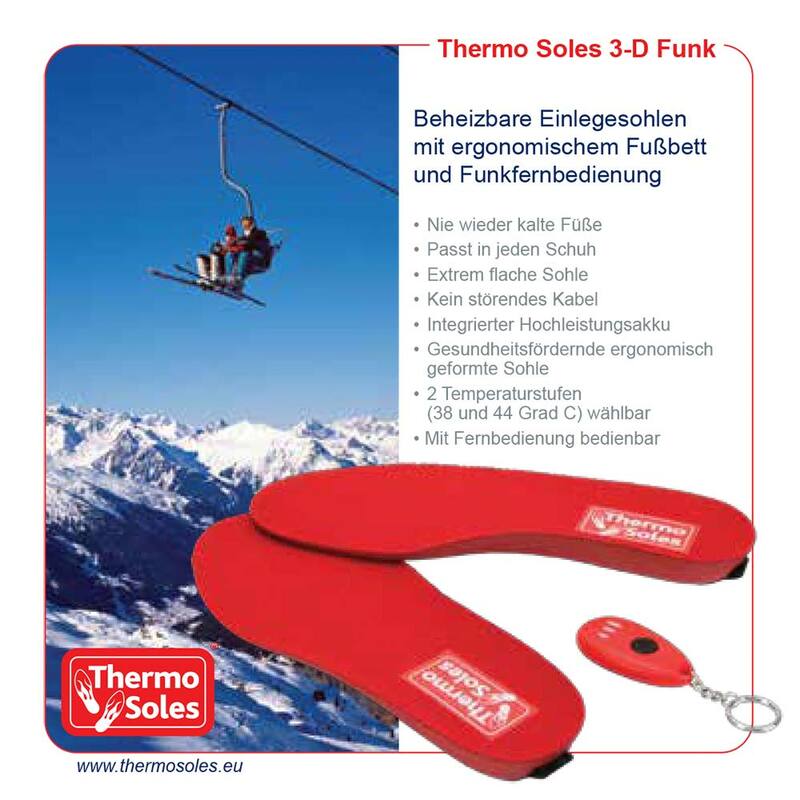 can not be damaged by frequent charging and can be re-charged approximately 500 times! 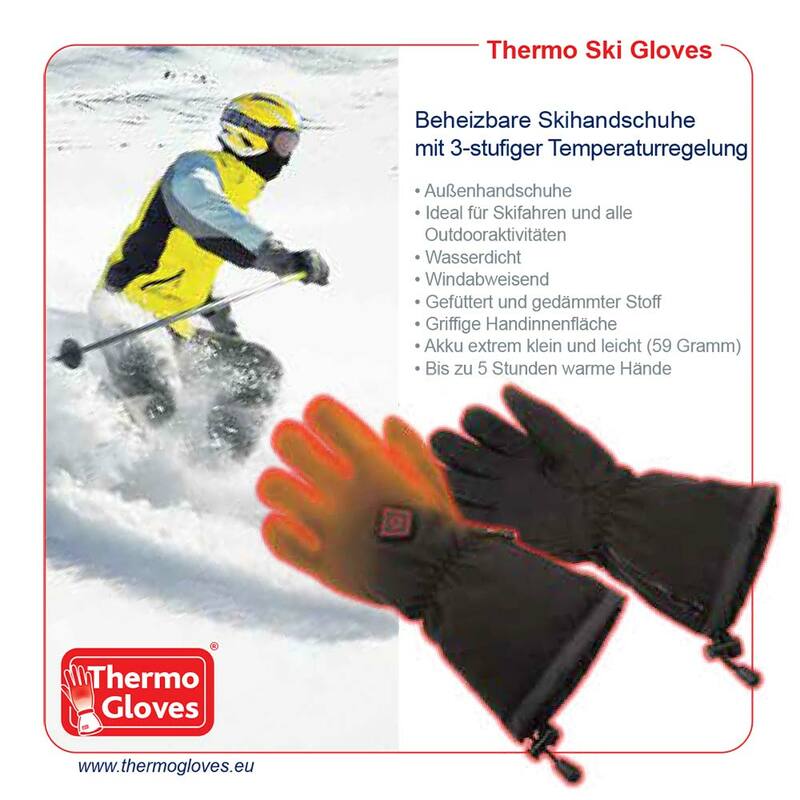 For best performance it is recommended not to fully charge the batteries if the gloves are not being used for a longer period of time! Charge for 20 minutes only and after 3 months charge the batteries again for about 20 minutes! Charge the batteries completely before using the gloves again. Turn OFF the gloves when not in use. Store the gloves and adapter in a cool, clean and dry place. Only use the original adapter to charge the gloves. 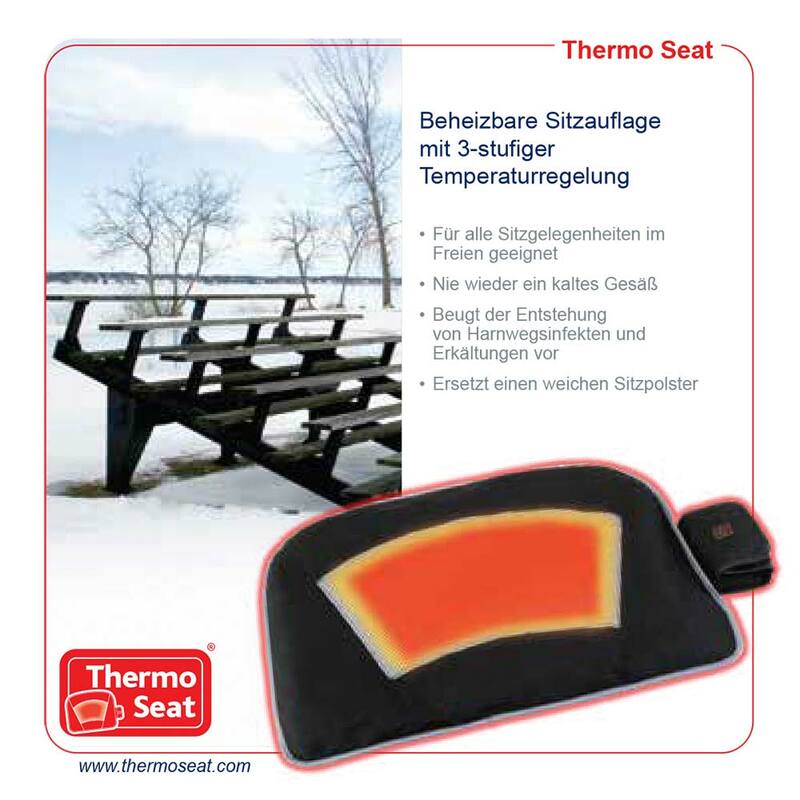 Do not damage the heating elements by excessively stretching the gloves.Charge only under supervision and place batteries on a non-flammable base,away from any flammable materials, fire or warm objects. Do not cut or puncture the gloves. Let the gloves dry completely before charging again. Hand wash only! Please use a mild detergent and treat the gloves carefully. Air-dry the gloves only! 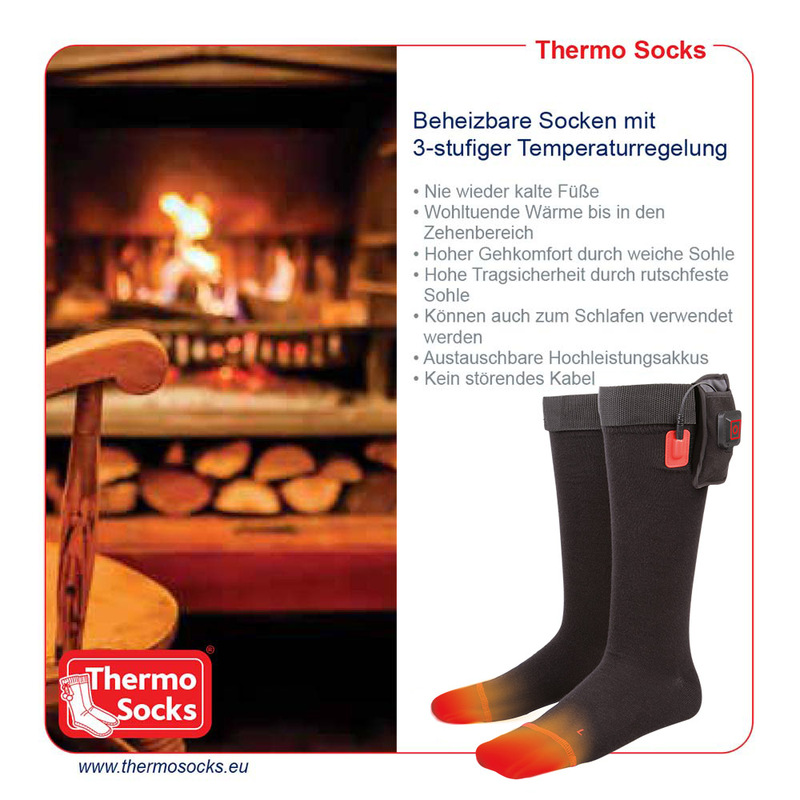 Do not place them on radiators or any other hot surface! Now turn ON the gloves by pressing the ON/OFF keypad control button about 3 seconds until the LED-light turns on! Place the gloves in the refrigerator for 5 – 10 minutes. Check the LED-light of both gloves after taking them out of the refrigerator again. 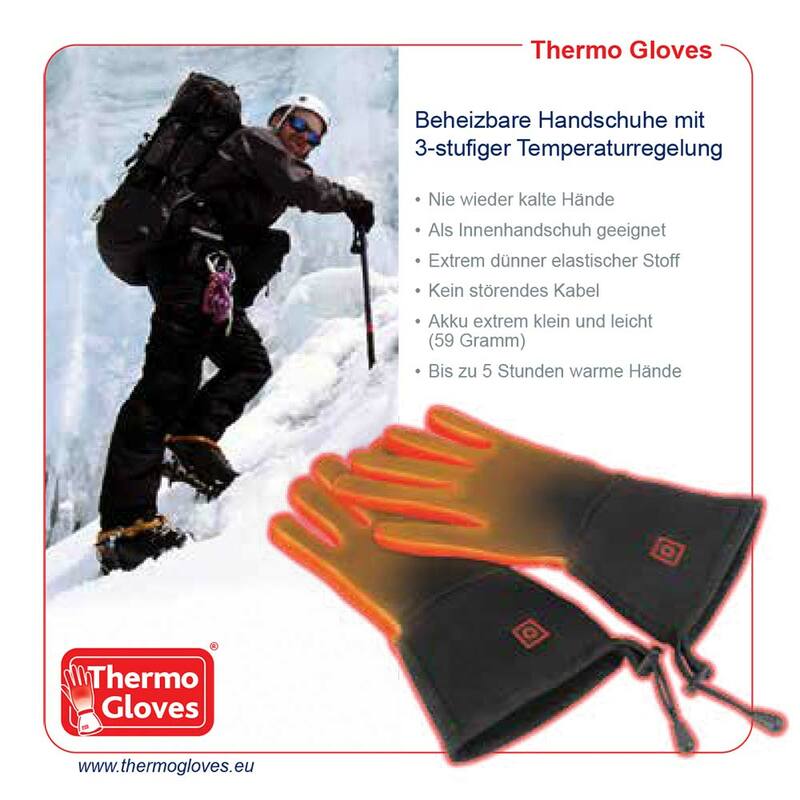 If the light is ON, then the gloves are in the heating mode and you should feel the warmth on the fingers and also the upper side of the gloves after a couple of minutes. 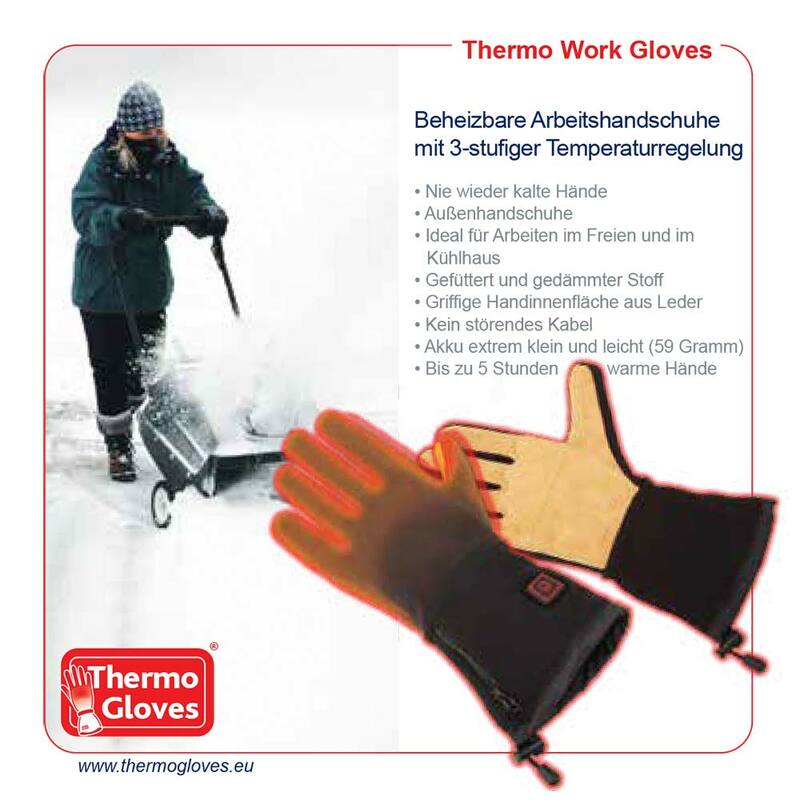 Discard THERMO GLOVES with approved collection agencies only! In order to save our environment, do NOT dispose of the gloves in your normal household trash. Discard the batteries separately from the gloves! If you want to dispose of the batteries, please separate the fabric cover from the battery.